Q: Is it fair to call you a critic of public incentives for the auto industry? A: I’m very much a critic. There is a bipartisan dogma from both Democrats and Republicans that tax breaks work, and I challenge the widely held view that they do. Are there good incentives and bad incentives? I’m not against incentives per se. If you go back to the academic view of public incentives, I’m comfortable with that — which is this: If there is something that should happen, but it isn’t happening, and it won’t happen until public dollars reduce private risk, then that’s fine. A food desert needs a grocery store and hasn’t had one for a decade. Or citizens are released from prison and can’t get hired — there are a lot of examples. But I believe what we’re talking about are incentive programs that have become windfalls. They are gimmes. They’ve just become part of the calculus of what companies expect to get to invest in a plant. What’s happening with incentives right now as they relate to the auto industry? The auto industry has an outsized role in this story. It’s such an important industry and drives so much of the GDP, but it’s become the Wild West. This story goes back to the early 1950s, when you first heard the United Auto Workers complaining that Southern states were using this new tool called industrial revenue bonds to help employers run away from industrial cities, run away from unions or run away from aging cost structures. The rise of the interstate highway system made it easier to operate plants in the South, as did the advent of air conditioning. What we saw in those days was the rise of site selection companies that helped companies move South and offshore. Today, there are hundreds of site selection companies operating out there. The country has developed a very corporate-dominated site location system developed by site consultants to maximize the leverage that companies have over governments. There was public backlash to the incentives packages that recently went to Amazon’s second headquarters, more than $2 billion. People were protesting in the street. Do you see that public response having any impact on future auto plant projects? I believe it will. The reaction to Amazon has been clear. I’m hearing people on Capitol Hill say that this is a live issue, from activists and others. European countries don’t do this. If Amazon had decided to put HQ2 in Paris or London, they wouldn’t have gotten a dime. Interestingly, the Amazon HQ2 site competition was really only the sixth public auction for a corporate investment in U.S. history. The practice was started by the auto industry. The first one was the Saturn project in the early 1980s. Then Boeing did it three times — for the 787, for the headquarters and then for the 777. Tesla did it for the Gigafactory, which went to Reno, and now Amazon just did it. What do you predict will be the reaction? I hope it will be that states stop doing this. It’s a race to the bottom. One particular piece of low-hanging fruit that should be stopped, in my opinion, is the practice that we call interstate job fraud. That’s where you provide a company with tax incentives to simply move across the state line. The new state calls them new jobs. But all they did was close one plant and open another one. A devil’s advocate question — what’s wrong with cities and states in the South competing for auto industry projects by being willing to spend tax dollars to improve roads and infrastructure? That’s a fair question. The states can do what they want with their own money. But I think there’s a wage suppression issue here. Subsidies are being used to make it easier for companies to run away from unions in the North, or to use the threat of moving away during union organizing drives in the North. General Motors has said it’s going to idle a number of plants in the upper Midwest. Would you argue that Michigan or Ohio would be wrong to attempt to reverse those decisions by offering GM aggressive incentives packages to keep the plants open? I would counter that they already have. But plants close anyway. Michigan and Ohio have given massive deals to the Detroit 3 and to some suppliers there. They’ve been spending heavily on automotive packages for a long time. 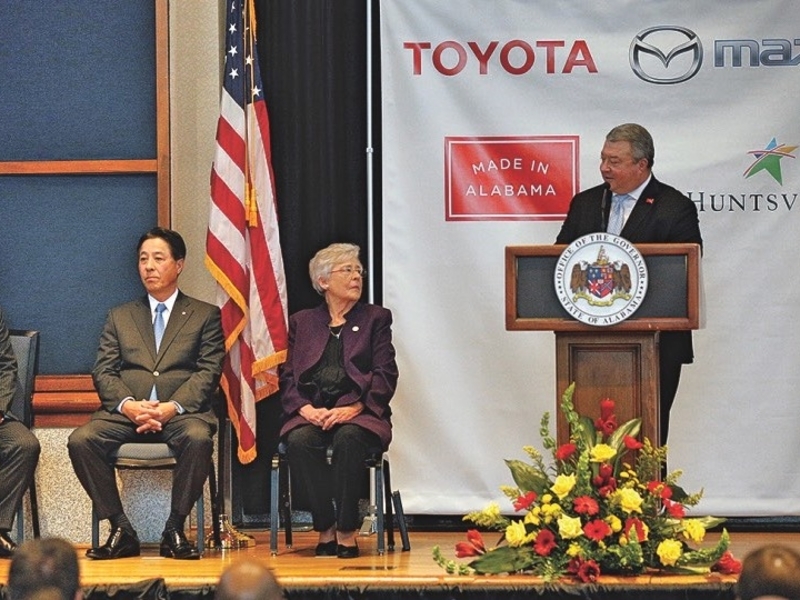 North Carolina last year offered $1.6 billion in incentives to attract the new Mazda-Toyota auto assembly project. And despite that, the project went to Alabama, which offered far less in incentives. What was your reaction? It’s a vivid example of the axiom we preach here, which is that incentives don’t work. They can’t — they’re too small. If you look at tax incentives compared to the total cost of doing business, they’re only a small piece of it. State and local taxes typically represent about 1.8 percent of overhead. What a manufacturer really looks for is good local schools, good roads, low taxes, simple regulations and good universities. And incentive deals reduce their ability to provide those things. The Secret Sauce for Social Media Revealed.